Now you’ve got your content together, proofread it three times, and you love it. The layout is so important--if not the most important. We’re a visual driven society, and if we don’t go, “Oooooh pretty!” we toss said a thing to the side. Keep it clean as possible. For me, I’m very much a minimalist and a Swiss design kind of girl. You don’t have to be a minimalist, but remember to have balance. Your logo and photo of you should be the main focus. If you’re going to use social icons, keep them smaller than the rest of your photos. Make sure your font is legible. Obviously stay away from script font, but also, make sure it’s 10-12 pt. Think of the font size you’d use for a resume because that’s essentially what this. Why? I’m sure you’re great, and great enough for two pages even, but with the amount of other amazing people, there’s only so much time they have to look at your sheet. 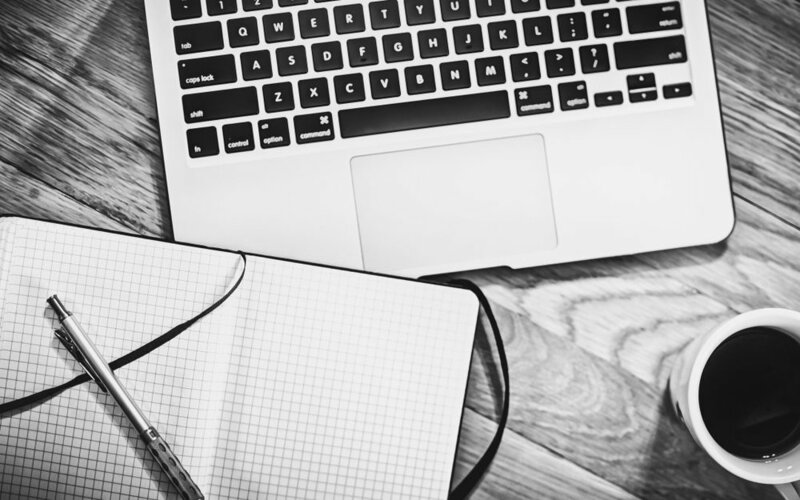 When you’re proofing, see what can be taken out or reworded. Make sure your content gets straight to the point. Make it match your brand. Consistency is key in all aspects. Make sure the design is an extension of you. Send in the right format. Save for web, resolution 72, RGB for email. If you save it as CMYK, the color will be off when you email them. if at all possible (or at least, make sure it’s not one with a duck face unless you have a blog about ducks). I’m not the biggest fan of having my own photo, taken but it is important for your face to be on your media kit as well. Now that you have the tips on how to design and make your kit look wonderful. Get inspired from your favorite catalogs and magazines. Also, you can reach out if you're completely stuck. 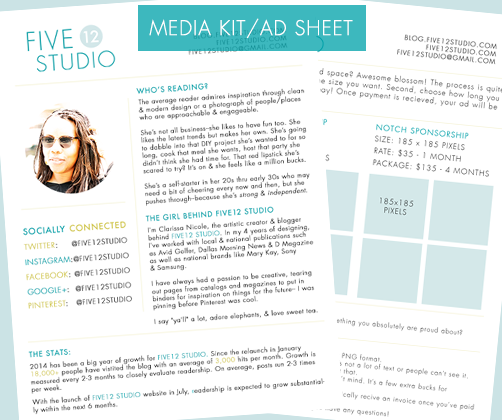 Writing a Media Kit: What to Include?